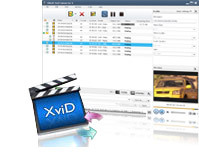 Capable of decoding various video files like AVI, MKV, WMV, MP4, MOV, MPEG, MPA, MPG, 3GP, 3G2, DAT, VOB, QT, RM, RMVB, ASF and so on, Xilisoft XviD Converter can convert them to XviD video files, or convert them to other video files such as DivX, WMV, AVI, MOV, MP4, MPEG4/H.264, 3GP, etc. You can even extract M4A or MP3 audio files from these videos. This XviD video converter allows you to split one file into several, specify output file size with Bitrate Calculator tool, and adjust various output parameters to get custom files. Besides, you can even output multiple files from the same file at one time to meet multiple requirements. 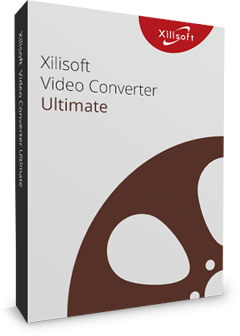 Download Xilisoft XviD Converter for a free trial now, and start to experience the high-speed XviD video conversion. Convert these videos to WMV, AVI, MOV, MP4, MPEG4/H.264, 3GP, etc. Convert 3GP, AVI, MKV, MPEG, DAT, VOB, MP4, MOV, RM, RMVB, WMV, ASF and other video files to XviD, as well as to DivX, WMV, AVI, MOV, MP4, MPEG4/H.264, 3GP, etc. 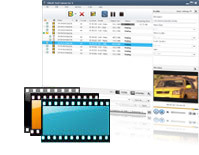 Extract background music from these video formats and save as M4A or WMA audio files with Xilisoft XviD Converter. Xilisoft XviD Converter supports multi-core CPU. And the more CPU cores you have in your computer, the higher speed you will get. Increase XviD video conversion speed up to 5x with NVIDIA CUDA & AMD APP encoding technology. Adding multiple output formats to one original file is the simplest way to get different files from the same file at one time. Split a large file into several ones by the prepared or self-defined split time/size. The built-in Bitrate Calculator tool makes it easier to customize the output file size by calculating the video bit rate of the size you enter. Set the start time and duration of the segment you want, and convert the segment to any supported video file. The output parameters include video codec, video size, bit rate, frame rate, audio codec, channels, etc. are classified by different categories and can all be adjusted freely, which multiplies your output choices. As this XviD video converter supports batch process and multithreading, you can convert multiple files at one time at high speed. 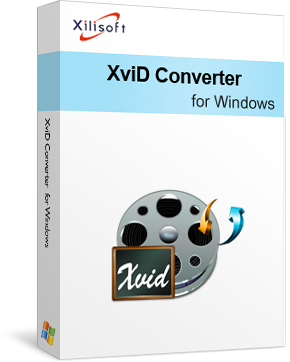 Run this XviD converter in the background to conserve CPU resources for other applications; set the after done action as quit, shut down, hibernate or standby ahead of conversion to save time on waiting. Preview and snapshotOffers you a built-in player (which is resizable and can be used as a stand-alone player with 4:3 and 16:9 zoom modes) to preview videos and take snapshot anytime during preview. 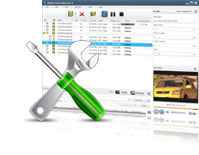 Allows you to manage your system power in this XviD converter. Interface languagesProvide several product languages: English, Japanese, German, French, and Chinese.